All about Garden Pots for Sydney. Suppliers listed can provide the widest range of garden pots in Sydney, including plant pots and garden planters. Some have a huge range while others stock a smaller and more exclusive selection. Planter boxes are particularly popular in small terrace houses in Sydney as well as on balconies. Garden pots have been used for 1000s of years, and with the beginnings in the pottery of China this is an industry that has spread and developed with different countries developing different style of pottery. 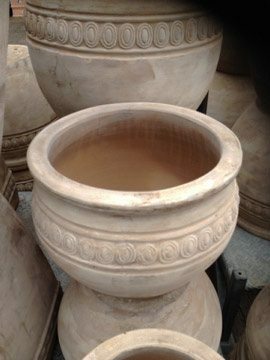 Although many Garden Pots Sydney, are sourced from Vietnam and China, Australia has its own manufactures of high quality garden pots, and of course imports from Italy and France are also available. Searching online for garden pots helps you find the right range for your landscaping needs before you set out to purchase, and of course, you can always buy online. Classical Pots are also represented such as Anduze Garden Urns. These have been manufactured in France for over 200 years, they are hand glazed making each item truly unique. The original potter, Boisset and his family continually run this business until the 1950s. Today it is the ‘Les Enfants De Boisset’ or ‘Children of Boisset’ who although not related directly carry on the tradition. Looking for Garden Pots and Planters in Sydney? We can help you find lightweight planters for an apartment overlooking the harbour, modern designs for the western suburbs, classic designs for Vaucluase or some good old fashioned terracotta pots for a terrace house in Paddington. Our listed businesses supply the widest range of both traditional and contemporary pots, planters and troughs available for delivery or pickup all over Sydney and Rural NSW. Large pots and planters for commercial installation right through to small containers for the balcony or kitchen garden and even some cheap pots for the garden enthusiast who needs a lot. Be a little careful with purchasing cheap pots and factory seconds, the structural integrity of pots is important, so although a factory second may be cheaper, if it crack and breaks it is not really a bargain at all. JAPANACHE 2/6-8 Cavendish St Mittagong NSW 2575 Phone: 0248711388 fax: 0248711322 Garden ornaments imported from Japan. Old stone lanterns, water basins, bridges, rain chains and doors.